Greg Smart joined the firm of Carr & Carr in 2006. 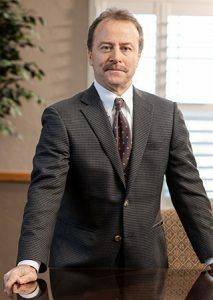 Before joining the firm, he was associated with the law firm of Brady, Schaulat & Falsetti in Oklahoma City, where he concentrated his practice on personal injury and negligence litigation, which included semi and auto accidents, premises liability, products liability, nursing home negligence and insurance law disputes. He was responsible for all phases of civil pre-trial and trial preparation matters and has appealed to the Oklahoma Supreme Court. Mr. Smart continues to focus on all types of personal injury and negligence litigation for Carr & Carr. He is licensed to practice in all state courts in Oklahoma and the United States Federal Court for the Western District of Oklahoma. Greg is married with one child. Greg and his family reside in Oklahoma City. 1986 – Bachelor of Science, Organizational Business Administration – Bachelor of Science, Hotel and Restaurant Administration, William S. Speers School of Business, Oklahoma State University, Stillwater, Oklahoma.